Kenneth I. Werner is the founder and Principal of Nutmeg Consultants, and was the Editor of Information Display Magazine from 1987 to 2005. Nutmeg Consultants works closely with Insight Media, and Mr. Werner serves as a Senior Analyst for Insight Media, which provides opportunity analysis for manufacturers, resellers and integrators of electronic displays and their components through consulting services, research reports, conferences, and newsletters. He is a founding editor and contributor for Insight Media’s Display Daily, and contributes to Mobile Display Report, and Large Display Report. Mr. Werner has become recognized as an authority on the display industry. He regularly addresses technical and trade organizations in North America, Europe, and Asia, and is routinely consulted by brokers, analysts, members of the international press corps, and companies entering or repositioning themselves in the industry, or wishing consulting services on display technology or display and component sourcing. He speaks frequently with senior corporate and technology executives of large, mid-sized, and small display-related companies in Asia, Europe, and North and South America, as well as government officials and academic researchers. At BRDisplay II (July 2004, Recife, Brazil), he served as a consultant to the working groups developing a national strategy for the growth of display-related industry in Brazil and wrote the introduction to their report. In the last few years Mr. Werner has given keynote or invited presentations at LCD/PDP International (Yokohama, Japan), the Consumer Electronics Show (Las Vegas), the Liquid Crystal Institute (Kent, Ohio), and LatinDisplay (Sao Paulo, Brazil). He was one of the referees for the Display Invention Competition held in August 2003 in Korolev, Russia. He is a co-author of Insight Media’s recently published Green Display Report: The Business Threats and Opportunities of Green Displays. 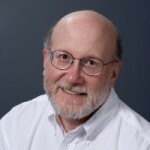 Mr. Werner is a member of the Society for Information Display and IEEE, and was Chairman of the Advisory Board for the award-winning IEEE Circuits & Devices magazine.